Scientists at the Max Planck Institute have discovered that the brain uses the cortex for making sensory associations, not the hippocampus. ‘Where’ and ‘how’ memories are encoded in a nervous system is one of the most challenging questions in biological research. The formation and recall of associative memories is essential for an independent life. The hippocampus has long been considered a center in the brain for the long-term storage of spatial associations. 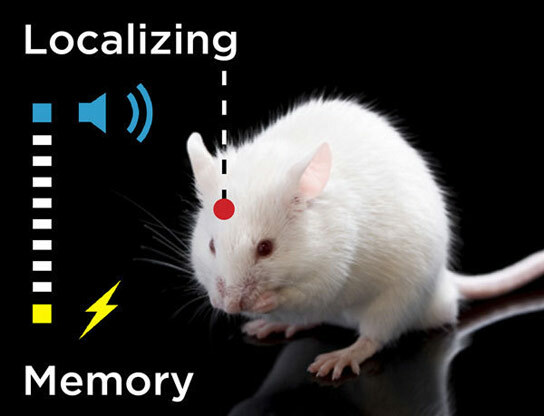 Now, Mazahir T. Hasan at the Max Planck Institute for Medical Research and José Maria Delgado-Garcìa at the University Pablo de Olavide of Seville, Spain, were able to provide first experimental evidence that a specific form of memory associations is encoded in the cerebral cortex and is not localized in the hippocampus as described in most Neuroscience textbooks. The new study is a game changer since it strongly suggests that the motor cortical circuits itself, and not the hippocampus, is used as memory storage. However, the extent of H.M.’s brain damage was obviously underestimated, because other regions in addition to the hippocampus were also removed or damaged in the surgical procedure. The researchers from Heidelberg and Seville have therefore investigated the learning behavior of genetically modified mice in which NMDA receptors are turned off only in the motor cerebral cortex. NMDA receptors bind the neurotransmitter glutamate to the synapses and become active when several signals feed into one synapse at the same time. They are the central molecular elements of learning processes, being involved in increasing or decreasing transmission of the signals to synapses. In behavior tests, so called eyeblink conditioning, animals with and without NMDA receptors in the primary motor cortex had to learn to link a tone with a subsequent electrical stimulus of the eyelid. This association of two sensory inputs involves the cerebellum which coordinates the necessary movements, as well as the hippocampus and the cerebral cortex, which are important learning and memory centers. “After a learning phase, the animals’ reflex is to close their eye when they hear just the tone. Without NMDA receptors in the primary motor cerebral cortex, the genetically modified mice on the other hand cannot remember the connection between the tone and electrical stimulus, and therefore they keep their eyes open despite the tone”, explains Mazahir T. Hasan of the Max Planck Institute for Medical Research. Be the first to comment on "Study Reveals Cortex Used for Making Sensory Associations, Not the Hippocampus"